WEDNESDAY, Dec. 5, 2018 (HealthDay News) -- A three-month intervention, including chronic obstructive pulmonary disease (COPD) self-management support, results in fewer COPD-related acute care events at six months after discharge, according to a study published online Nov. 12 in the Journal of the American Medical Association. 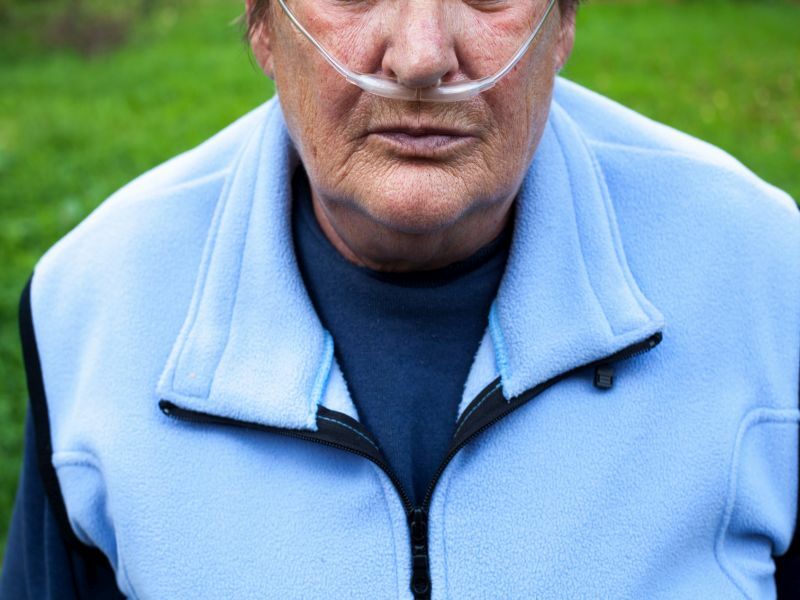 The researchers found that per participant, the mean number of COPD-related acute care events was 0.72 and 1.4 in the intervention and usual care groups, respectively, at six months (difference, 0.68; 95 percent confidence interval, 0.22 to 1.15; P = 0.004). The mean change in participants' St. George's Respiratory Questionnaire total score at six months was −1.53 and +5.44 in the intervention and usual care groups, respectively (adjusted difference, −6.69; 95 percent confidence interval, −12.97 to −0.4; P = 0.04). "COPD is incurable and chronic, and our new program -- which combines hospital to home transition support with chronic disease management support -- is one way of reorganizing care in a way that reduces future hospitalization risk and expenses, while preserving patients' quality of life," Aboumatar said in a statement.